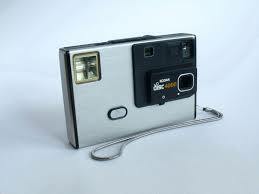 For the times, it was a great little camera. It was pocket-size, which made it easy to carry around. 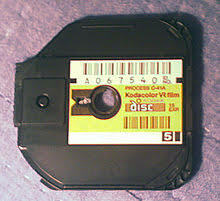 It was also easy to load - just snap in the film casssette and you were ready to go. Fifteen pictures later, you just popped out the cassette and sent it off to be developed and printed. But now we are in the digital age - and all those memories are locked away in those little round film discs, or maybe some photos in a scrapbook or tucked away in a drawer. There are a few commercial scanning outfits that will take these relics and digitize them - but there are a few caveats to be considered. One is the price - up to $39.00/disc. 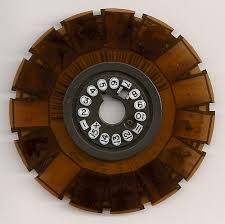 Then there are the places that want to take the film apart - removing the plastic hub - in order to process the film. Finally, there is the resolution of the scans the commercial scanning houses produce. A 2000 dpi commercial scanner will produce an image from a disc film with fewer than 800 pixels across. If they use a 3000 dpi scanner, it will yield an image with fewer than 1200 pixels on each horizontal line. We use proprietary equipment, designed and built in-house, to scan disc film. We do not alter the filim in any way - it comes back to you in the same condition as we received it. What's more, our equipment is able to produce an 11MP digital image - the equivalent of a 10,000 dpi scan! That means that your images will have about 3800 pixels in each horizontal line - about three times the resolution of the other commercial scanning houses. Best of all, we only charge $10.00/disk(Digital Positive Service),or $15.00/disc (Premier Service),)which includes clean-up and adjustment of your images (please click those links for more details).